Every once in a while a film is produced that makes going to the theatre like a brand new experience. A film that is so unique and so incredible that you have to wonder how it is that you could have watched so many other lesser films and been satisfied. For me, the night I watched The Fall was the night I realized I hadn't seen a truly brilliant film in years. "Face of Mae West Which May Be Used as an Apartment"
In the early part of the 2000 decade, Tarsem Singh (or as he is known professionally as Tarsem), began work on his masterpiece. 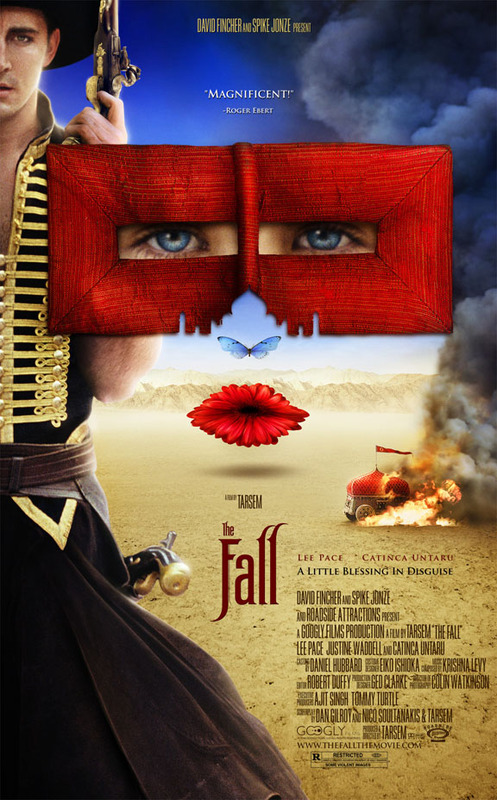 The Fall is the story of stunt man Roy (Lee Pace) who was injured on the set of a 1920's silent picture. Hospitalized, he meets Alexandria (Catinca Untaru), a young girl who was also hospitalized with a broken arm. Roy begins to tell Alexandria an epic story about a bandit and five other warriors on a quest to avenge the death of someone in each of their lives. Twenty-six locations, eighteen countries, and every penny he owned later, the unique-minded director completed his film. It premiered at the 2006 Toronto International Film Festival and released in the theatres in 2008. Sadly, it was overlooked by the Academy despite having some of best cinematography, art direction, and story. Lee Pace is also in top form as his Roy character, a suicidal stuntman trying to exploit the innocence of a young girl to help kill himself. When the film begins, we are cleverly introduced to Roy's accident. By the use of slow motion, Colin Watkinson's intriguing cinematography and the 2nd movement of Beethoven's 7th symphony, we are given all the elements that will later fill Roy's epic to Alexandria. According to Tarsem, there were no special effects in the film and that everything was shot on real locations. It's no wonder he had to travel to such exotic locations to capture the mind-blowing imagery in the film. As determined and focused as Tarsem was when he created this film, some of the best elements were found by accident and later incorporated into the story. One example is how actress Catinca Untaru struggled to understand what Lee Pace was saying. This was creatively used as a device to help the young, first-time actress forge an Oscar-worthy performance. It's hard not to be charmed by her after watching so many of her delightful nuances: the way she fibs, her constant fiddling, and her overall child-like behavior. 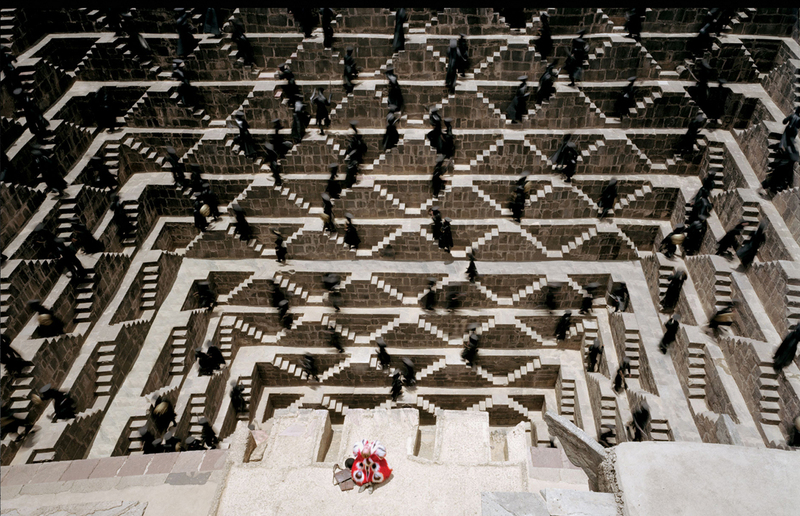 And though the film has serious story elements, Tarsem makes sure to mix the dark drama with light-hearted humor. After all, the story is mostly seen through the eyes of Alexandria and her interpretation of the things around her. Even Roy's "Indian" character within his story is misinterpreted. As Roy explains his Indian (what he conceives as a Native American), Alexandria understands the character to be a man from India, much like someone with her cultural background would understand. (Side note: look for the Native American in the introduction scene). 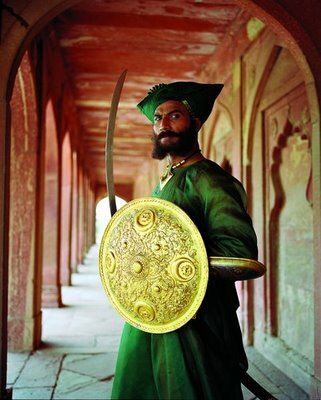 Jeetu Verma as "The Indian"
As are many of the best films, The Fall is best viewed repeatedly. 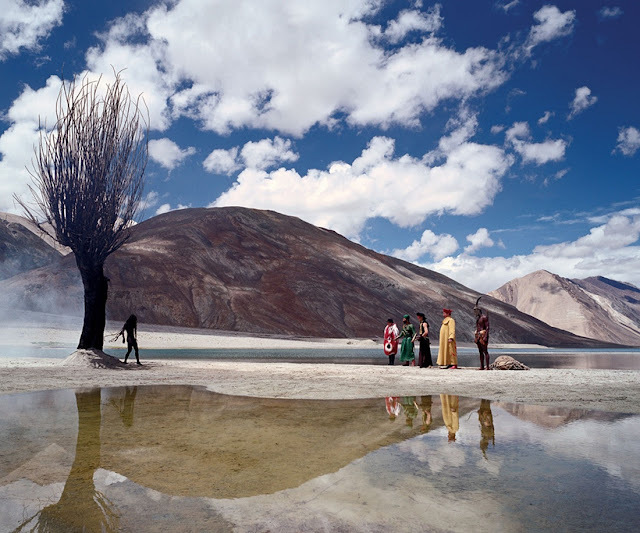 Tarsem gives us so much too look at that one viewing would not do the film justice. As an audience, we are also given the opportunity to venture on our own quest for symbolism. This is a method of filmmaking that I find the most pleasurable. I prefer symbolism and metaphors to be hidden within the film as opposed to spoon-fed. It's one way to provide an audience the ability to participate and bring us personally closer to the film. This is more than just a film, it's an experience. A story that can bring your inner child out and view life through the eyes of innocence and fear. 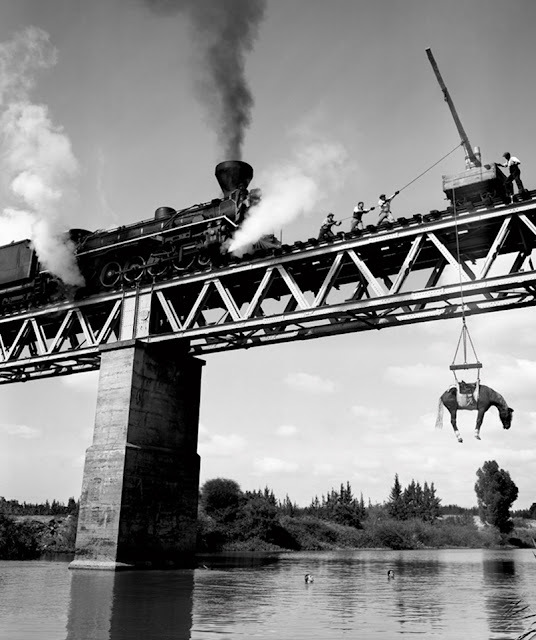 With The Fall Tarsem made his Citizen Kane and I look forward to his future films. Keep an eye out later this year (2011), Tarsem will be releasing his followup film, The Immortals and is currently in pre-production for an adaptation of "Snow White". TRIVIA: Tarsem began his career directing music videos. He won Best Video of the Year at the 1991 MTV Video Music Awards for R.E.M. 's "Losing My Religion." He also directed the video for "Sweet Lullaby" by Deep Forest, which has a close look and feel of The Fall.